Shirley Colleen Whittle Scott, 90 of Norman, Oklahoma passed away Thursday, 16 August 2018. She was born in Galena Kansas on 9 October 1927 to William Alvin Whittle and Ruby Faye McCoy Whittle. Colleen lived most of her life in Kansas and Oklahoma except for a brief time in California where she graduated from High School. After high school she attended Compton Junior College where she graduated with an associate’s degree in math. She met her husband Gene J. Scott in Oklahoma before moving to California. They were married on 22 October 1950 and have been married for 68 years. 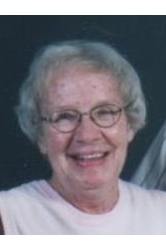 A long time resident of Norman, Colleen loved wildflowers and children. She worked at the McFarland Day care Center for over 20 years, participated as a leader in both cub scouts and girl scouts, and was actively involved in McKinley grade school as the mother of 4 children. Her grandchildren call her “Grammy”. She is survived by her husband Gene, her two sons David Gene Scott and his wife Jutta Witte Scott of Orangeburg, South Carolina, Michael Jay Scott of Norman, Oklahoma, and her two daughters Ruanne Elizabeth Scott Crumpley and her husband Rob of Broomfield, Colorado, and Cindy Colleen Scott Tuttle and her husband Joe of Oklahoma City, Oklahoma, 17 grandchildren and 29 great grand children. Memorials may be made in memory of Colleen to the Salvation Army and the Food and Shelter for Friends. A visitation for Colleen will be held Monday August 20th from 1PM -8PM at Havenbrook Funeral Home. Graveside services will be held 2PM Tuesday August 21st at Norman IOOF Cemetery.